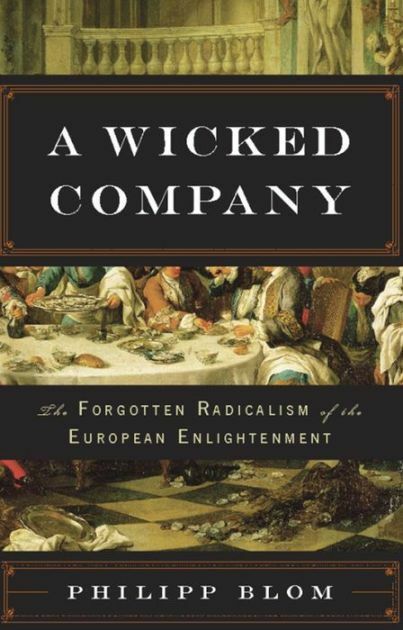 I started reading A Wicked Company: The Forgotten Radicalism of the European Enlightenment by Philipp Blom. Blom asks why Voltaire and Rousseau are buried in the Pantheon while Holbach and Diderot are in unmarked graves in a rural church whose priest won't even acknowledge their existence. The book is a celebration of the Radical Enlightenment, particularly Holbach's salon. Unlike other nonbelievers who replicate the life-denying morality of Christianity. Holbach and Diderot, says the author, valorize pleasure and the affirmation of life in a meaningless universe. The flourishing of radical philosophy in Baron Thierry Holbach's Paris salon from the 1750s to the 1770s stands as a seminal event in Western history. Holbach's house was an international epicenter of revolutionary ideas and intellectual daring, bringing together such original minds as Denis Diderot, Laurence Sterne, David Hume, Adam Smith, Ferdinando Galiani, Horace Walpole, Benjamin Franklin, Guillaume Raynal, and Jean-Jacques Rousseau. In A Wicked Company, acclaimed historian Philipp Blom retraces the fortunes of this exceptional group of friends. All brilliant minds, full of wit, courage, and insight, their thinking created a different and radical French Enlightenment based on atheism, passion, reason, and truly humanist thinking. A startlingly relevant work of narrative history, A Wicked Company forces us to confront with new eyes the foundational debates about modern society and its future. I have been familiar with King's remarks about Hegel for many years. I think that the author is exaggerating about Hegel;s influence, and that the author's title is an embarrassing exaggeration. 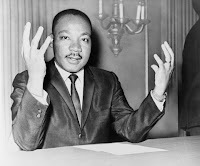 I am more impressed by the influence that various philosophers and theologians had in overturning MLK's fundamentalist indoctrination. It should also be known that MLK not only rejected fundamentalism but was an advocate of the separation of church and state, something the ignorant people I interact with in the city in which I live cannot fathom. Independent scholar Ralph Dumain has further catalogued King’s many approving references to Hegel, including a paper he wrote entitled “An Exposition of the First Triad of Categories of the Hegelian Logic—Being, Non-Being, Becoming,” the “last of six essays that King wrote” for his two-semester course on the philosopher.